Ban Reason Image (As listed when you attempt to log-in): "You are banned from this server! 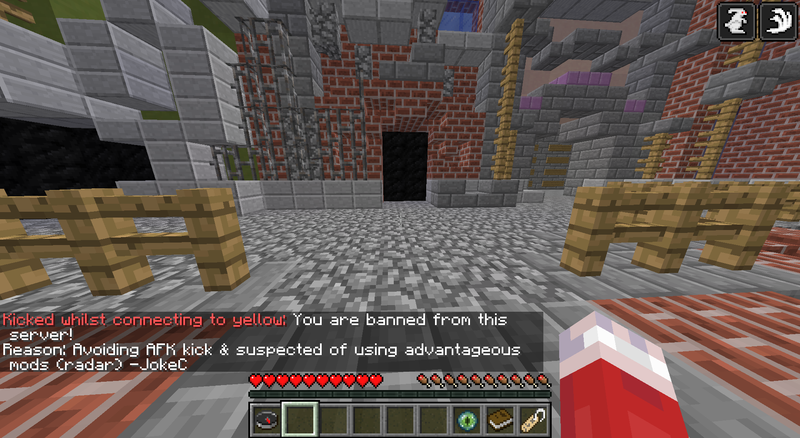 Reason: Avoiding AFK kick & suspected of using advantageous mods (radar)"
Explain what happened leading up to the ban: It's a while ago since that happened. The only thing I remember is that I caught a Pokémon and a few minutes later I was banned. Why should you be unbanned? : If I really did I'm sorry because I still like PocketPixels and I promise that I'll never do it again. It would be nice of you if you forgive me so I can play on this server with my friends again.